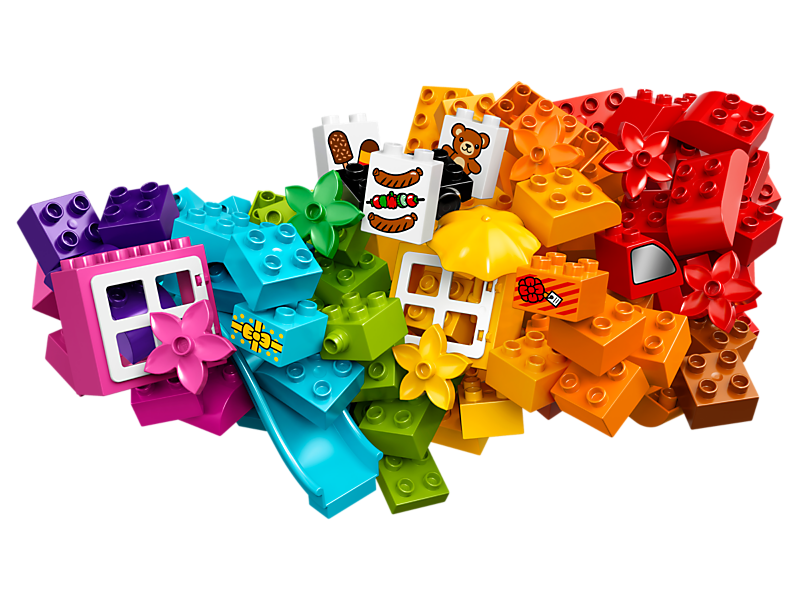 Young children will love using these brightly colored LEGO® DUPLO® bricks to create buildings and vehicles with a city and fun park theme. 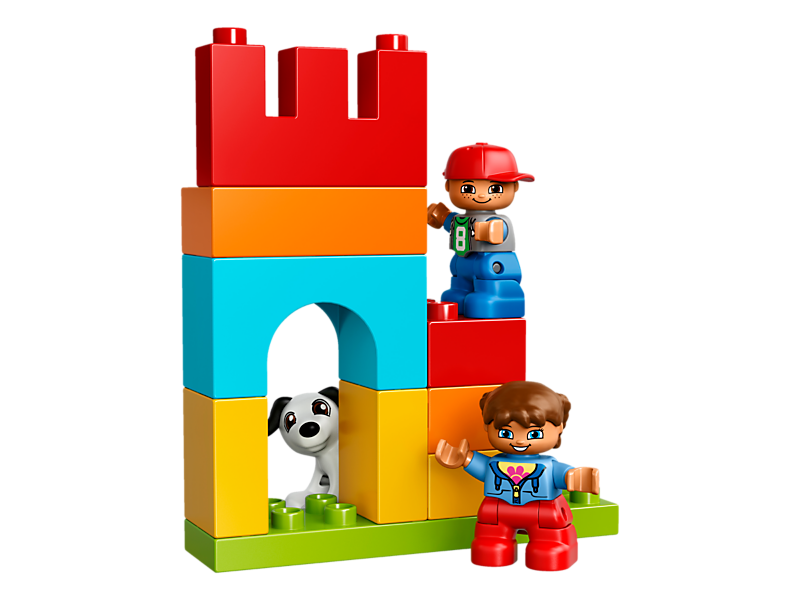 With lots of accessory elements, decorated bricks, plus 2 child DUPLO figures and a dog included for inspiration, there are endless options for building and role-play in this versatile set. 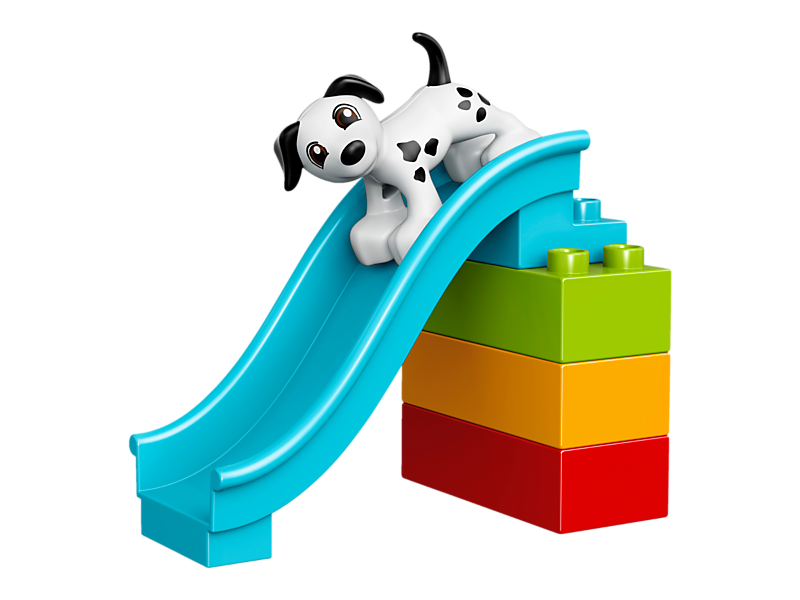 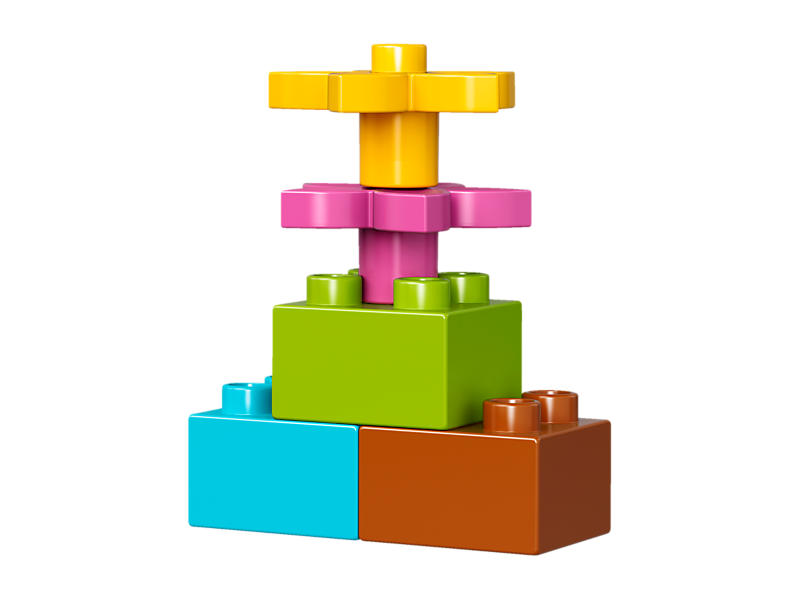 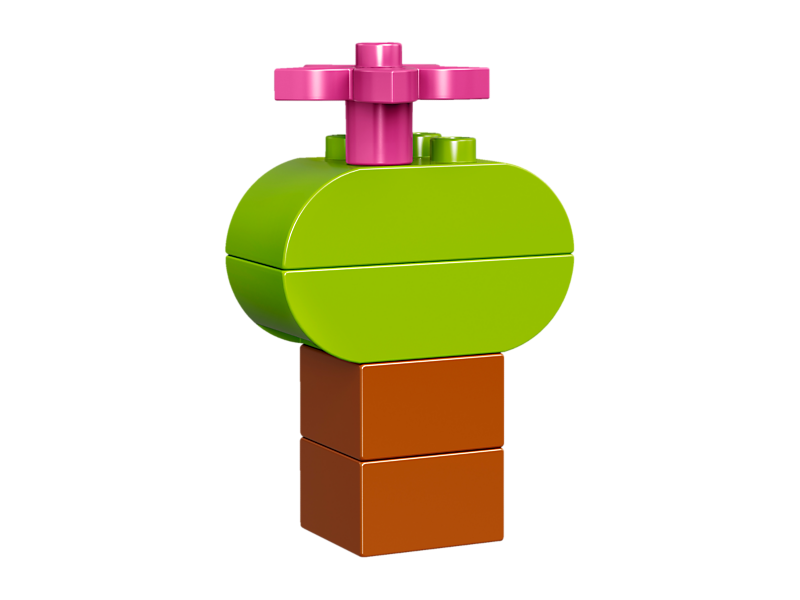 DUPLO bricks are specially designed to be fun and safe for little hands. 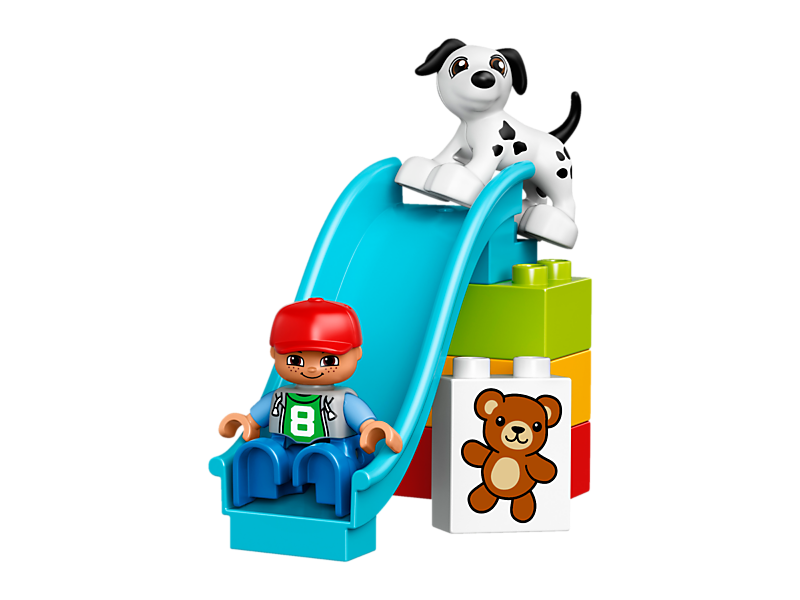 Includes 2 child LEGO® DUPLO® figures, plus a dog. 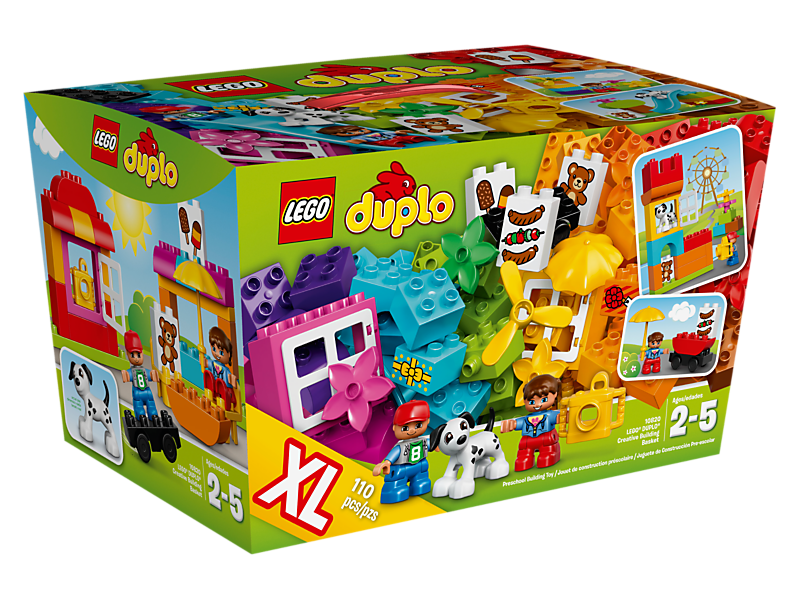 Features lots of colorful LEGO® DUPLO® pieces including a wheelbase, propeller, 2 opening windows, slide and chairs, which can be used to create many different scenarios. 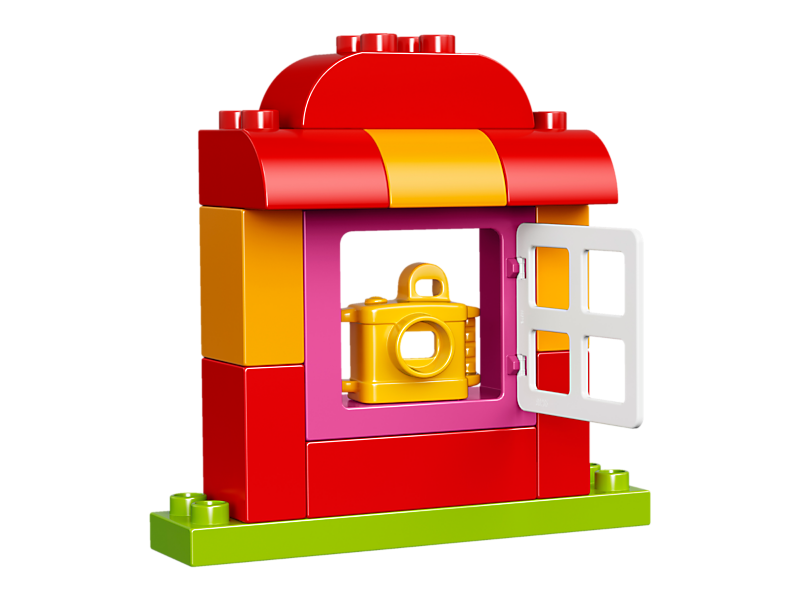 Accessory elements include an umbrella, 8 flowers and a camera with peep-hole viewfinder. 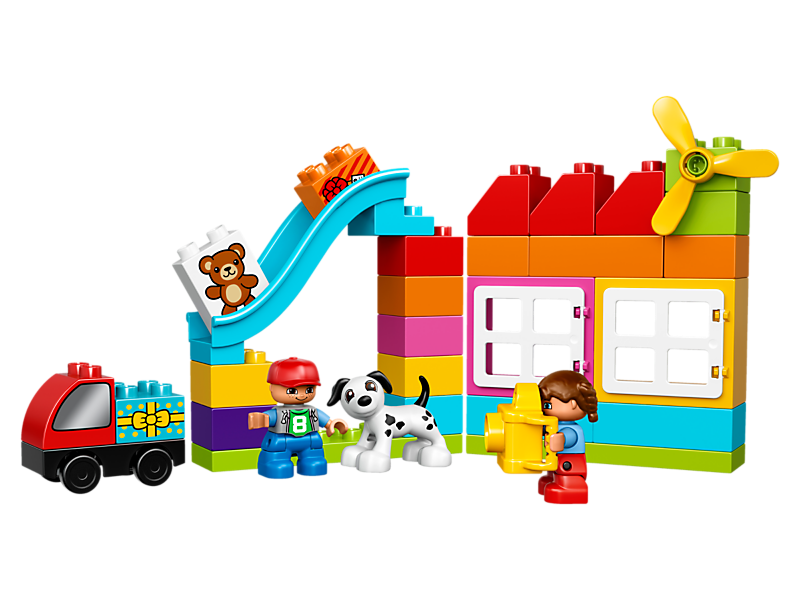 Includes bricks decorated as a car window, teddy bear, grilled food, ice cream and gifts as story starters. 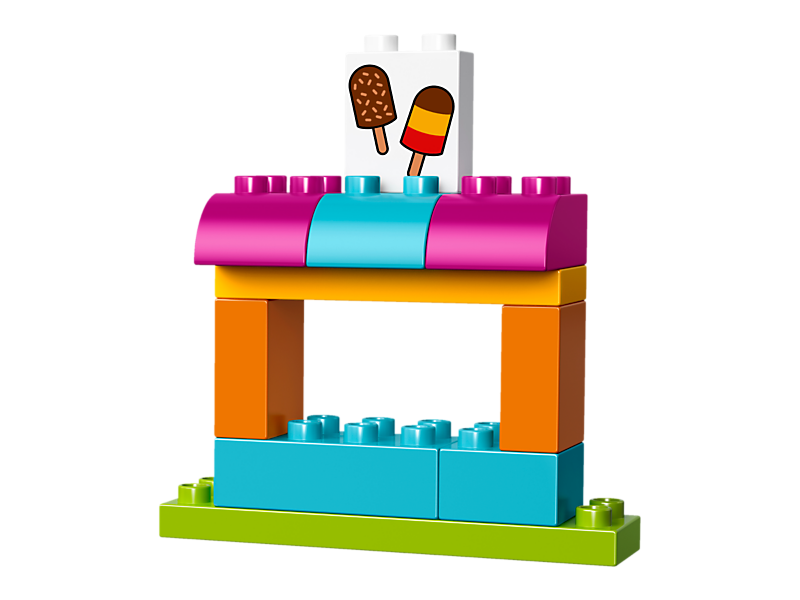 Encourage imaginative building with a city and fun park theme. 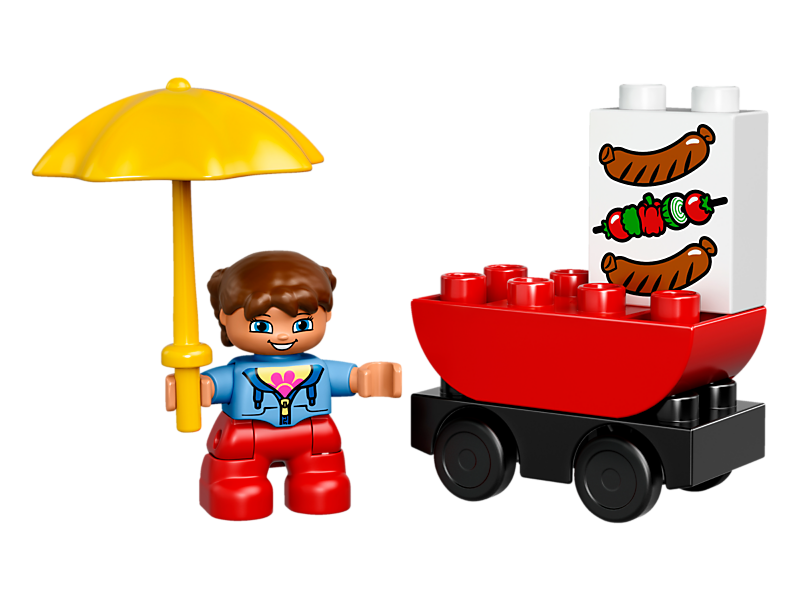 Create role-play stories in all sorts of scenarios with the LEGO® DUPLO® figures. 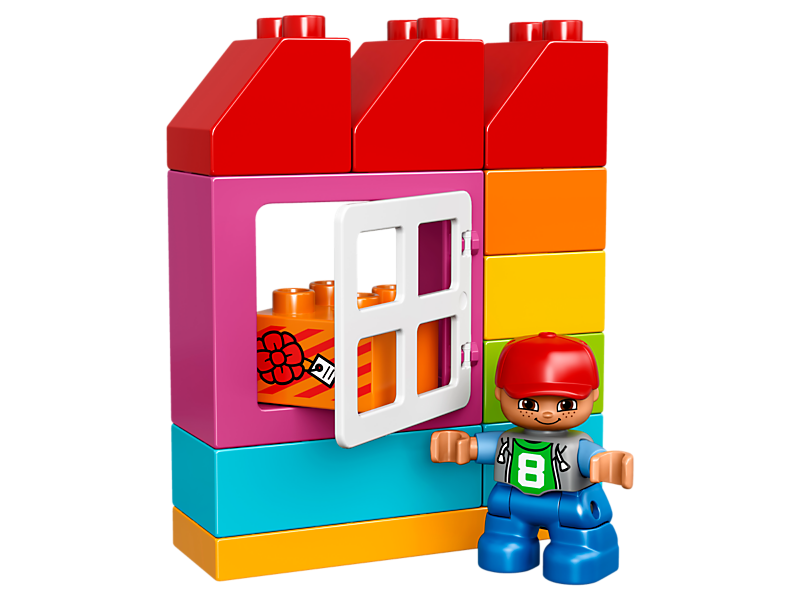 This set offers an age-appropriate building experience for ages 2-5.